Talk to a gardener for any length of time and eventually gardening zones and frost dates will come up. 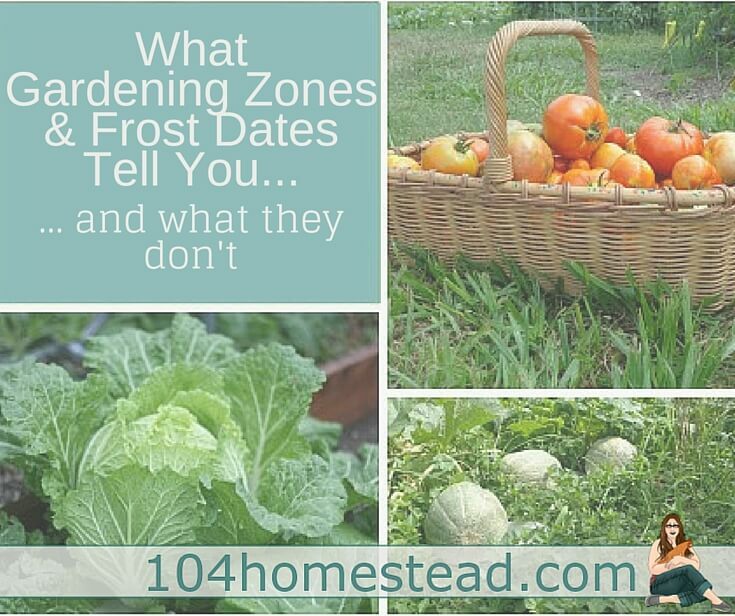 There is often some confusion about what gardening zones and frost dates are and what that information means. Also, there are some things that these tools don’t tell you that are important to the gardener. 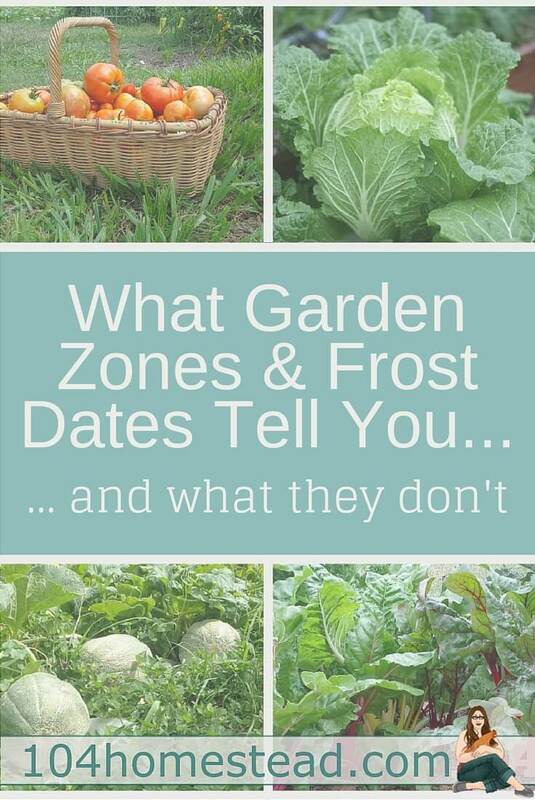 So, let’s have a little chat about what gardening zones and frost dates tell you…and what they don’t. What are the USDA Plant Hardiness Zones? In 1960 the US Department of Agriculture created a map of the US based on the average lowest temperatures, divided into 10°F zones; some zones are subdivided into A and B with a 5°F difference. There are thirteen zones but most of the continental US is in zones 3-9. If you are in the US you can find out what zone you are in by putting your zip code into this map. If you live outside the US, you can find your zone by using the chart next to the map. Since this tool is about lowest temperatures, it’s used for winter plants, not plants that are grown in the spring, summer or fall. The USDA Hardiness zones are great for gardeners in zones 9 and above who are trying to grow a garden all year long without; just pick varieties that can survive 20°F temperatures and cover them when it dips close to those temperatures. To be honest, if you live in zones 2-8 this particular tool isn’t a lot of help as very few plants can survive temperatures below 10°F – if you want to grow plants in the winter you will need to use a greenhouse. Just so you know, this map or a reference to this map and zones is on the back of almost all commercial seed packets and plant tags. Frost dates are the average first and last time an area experiences a frost during a winter season – not a calendar year. So, the first frost date is in the late summer or fall of one year and the last frost date is in the spring of the next year. You can find your average frost dates using this calculator. The last frost date helps you know when you can start planting outside and gives you a guide for starting seeds inside. The first frost date is important for when you are planting your fall garden. 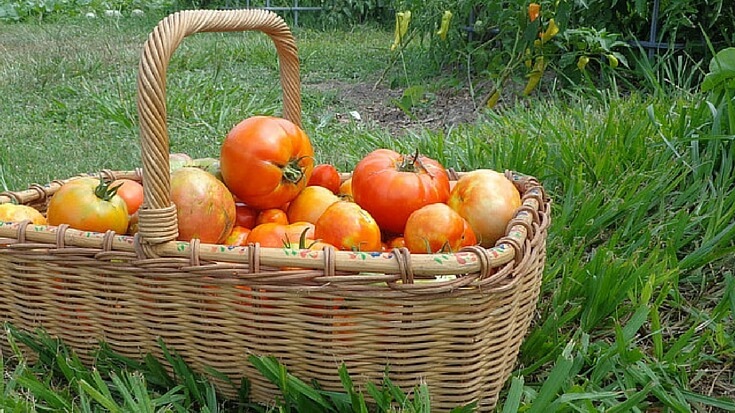 If your first frost date is mid-September, you don’t want to plant tomatoes in August. But if your first frost date isn’t until early December, you can plant tomatoes in August. The time between frost dates is usually how long your growing season is. If you have 90 days between frost dates, you’ll want to make sure that whatever you plant can mature in 90 days, or use season extenders such as cold frames and hoop houses. If you have 8-9 months between frost dates doesn’t necessarily mean that you will be able to plant and harvest the entire time. Anytime the temperatures get above 95°F for days on end the plants will struggle to survive and will stop producing. What are the AHS Heat Zones? Since the USDA Hardiness Zones only address lowest temperatures, the American Horticultural Society created the Heat Zones map to address hotter temperatures. The zones are divided by the average number of days that region experiences heat days (days over 86°F); zone 1 has less than one day and zone 12 has over 210 days. Heat zones are not usually listed on seed packets and plant tags, so if a seed packet reads “zones 6-9” it is referring to the USDA Hardiness zone and the plant’s ability to survive low temperatures. However, if the packet reads “zones 6-9/8-5” it means that if you live in hardiness zone 8 and heat zone 8 you will be able to grow this plant year round. The hardiness zone number and the heat zones number are not always the same for an area but could be, so be sure to check both. You can find what heat zone you are in with this map. What these tools don’t tell you. Hardiness zones don’t tell you how many low days you will have; you many have 2 days or 20 days at your average lowest temperature. 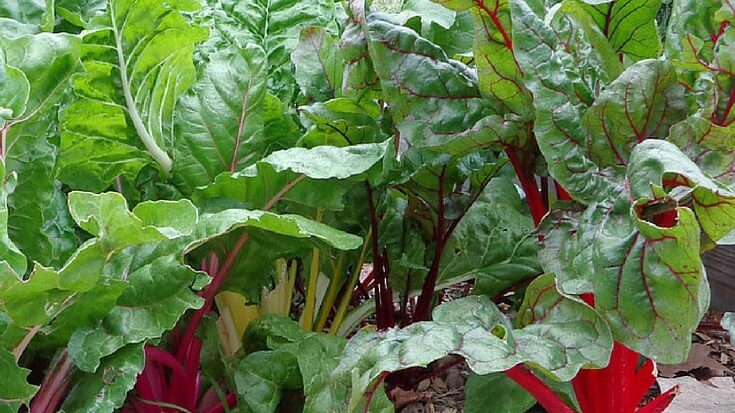 Knowing that might make the difference between planting a small fall/winter garden and covering it the few times temperatures dip below what the plants can tolerate and not planting a fall/winter garden. Day length is not addressed with these tools. There are some plants, like onions, that day length signals to produce. So, if you plant long day onions and you live in a short day climate, you won’t have a very good onion harvest. Gardening zones don’t take into account rainfall. They all assume the plants are getting adequate water regardless of rainfall. The rainfall difference in zones can be substantial, there are some cities in zone 9 that get 4″ of rainfall and some that get 35″. While all of these tools are a wonderful help, they do not take into account microclimates within an area. Do you live in an urban area? If so, your temperatures might get hotter (because of the concrete) than someone who lives in a nearby rural area. Are there mountains that serve as windbreaks on or very near your property? This will affect the micro-climate of your property. To get the most out of your garden and your time working in it, it’s important to keep notes on the things you observe and learn about your microclimate. If you don’t already have a notebook, you might consider using The Gardening Notebook which is a printable ebook with over 120 pages that will help you create a custom garden notebook. Well that’s not correct. No wonder you were taken aback. I’ll track down the correct link and fix it. Thank you for letting me know. That’s why it’s really important to keep records and track what happens on your property. All these charts are just averages, but weather comes in cycles not averages. We can’t rely on the zone chart due to our unique microclimate. It varies from year to year, this year we are at least one and a half weeks off of last year. Great article for others so they know what to expect! Wonderful article on growing zones! I get these questions all of the time from members. Thanks for this explanation. I’m also in zone 9, but our garden year is so different than yours. Here on the CA coast it rarely freezes, but only barely gets hot enough to ripen tomatoes and melons. Just the hardiness zone doesn’t describe conditions well. So true Melody, there is so much more to take into consideration than just our hardiness zones. I’m glad you found this article helpful. Your break down about all the different numbers and the meanings was great! It is good to know there are other things to consider besides just which zone you are in (rainfall, heat zones, and day length). Thanks. Glad it helped. I’ve made many gardening mistakes by not really understanding these things. This is one of the hardest things for newbie gardeners to remember. Great job breaking it down into normal person speak! It’s hard for me to remember, too, Tessa. I absolutely have to write it all down.